Index funds aren’t to outperform or underperform the underlying index. So all the Index ETFs will have the same performance over a period of time with almost no variation (or very slight variation) to the index. Exchange Traded Funds or ETF, unlike mutual funds, require a demat account to trade. Know all about ETF’s here. Mutual funds try to beat the index whereas ETF’s replicate the index. 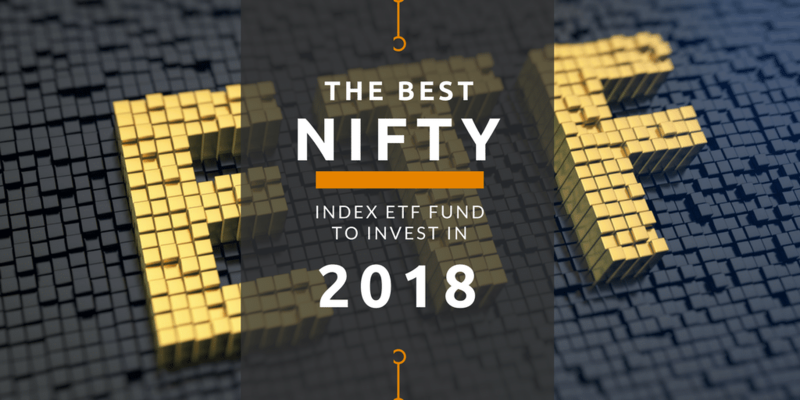 The important aspect of selecting a NIFTY Index ETF is not its performance because it will be very similar to Nifty. The important criteria are the average traded volume for the ETF. Higher volume for an ETF means it will have more buyers when one wants to be selling and vice versa. 50 companies are part of Nifty. So we will use Nifty 50 Index for ETF and have the following ETF’s. * Average volume data as per Yahoo finance as on 31st March 2018. So one should always choose a Nifty Index ETF that has the maximum volume with minimum possible expense ratio. ICICI Prudential Nifty iWIN ETF. If one has to select the best based on expense ratio, it will be ICICI Prudential Nifty iWIN ETF. If we select the mix of both where a better volume and moderate expense ratio, it has to be Reliance ETF Nifty BeES. If you the ignore expense ratio, it has to be Kotak Nifty ETF.